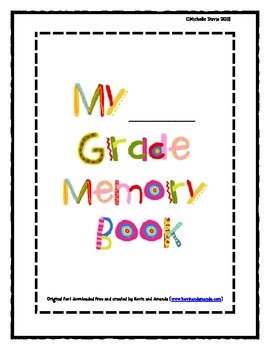 End of Year Memory Book-Cute Keepsake for Parents!! 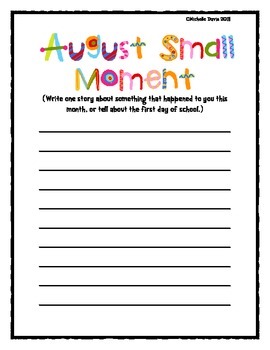 This book has monthly pages that you can run front to back and have the students fill out. 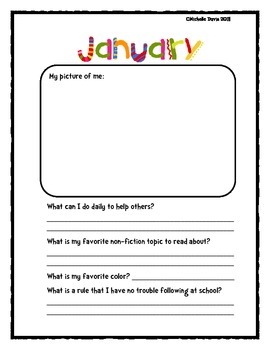 There are two pages for each month that include a space for kids to draw themselves, some questions for them to answer, and space for a quick writing sample about that month. 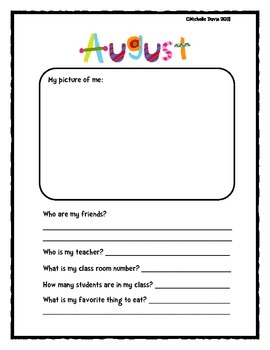 It gives parents an opportunity to see students draw a self-portrait and to see writing progress each month. I usually bind and send it home at the very end of the year as a keepsake for the parents.